E. E. Smith lives close to her native San Francisco where, after many years as a playwright, she now writes books and short stories instead of plays. One story was published in Writers’ Forum: Britain’s Best Magazine for Writers, in 2006. The play, WARTIME RECIPES, first performed in Oklahoma City in 1998, was reprised there in 2010. Her first novel, BOARDINGHOUSE STEW, was published in 2009, and the New Edition published in 2011. The second novel, TIMES LIKE THESE, was also published in 2011, and IN LOVE AND WAR, a memoir, was published in 2012. 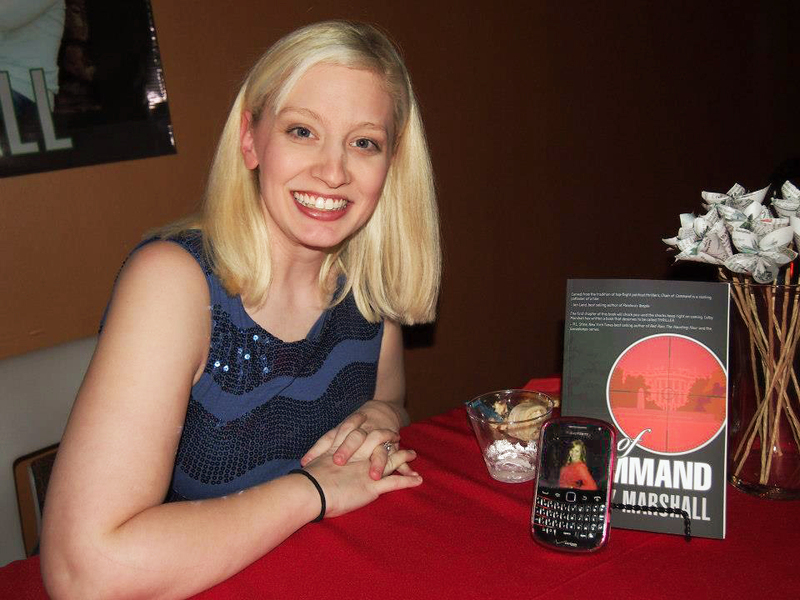 She is now writing a murder mystery series, the first to be published late in 2013. ES: All my life! But I wrote my first play in 1984, then the first novel twenty years later. ES: After the first play was produced in 1986. More so with each production and/or publication. ES: It’s a lot more complicated than I thought it would be. I always say that writing is the easy part; getting produced or published is much harder. ES: I’m not sure what my “expectations” were. Some authors certainly are relatively wealthy, but they are the better known, best-selling types. I’m not there yet! ES: Not that much, really. I still want people to read what I write, and the only way for that to happen is to get the books published. ES: I’ve been lucky. The first play was published a year or two after it was produced. The first novel took longer because the publisher got into financial difficulty, delaying publication for more than two years. That early experience was a disaster, but I learned a lot from it, and it led me to my present publisher. ES: Hindsight being 20/20, of course I would do some things differently. But each mistake has been a learning experience. ES: It’s not easy! I am a “hands-on” author, which means, for example, that I am actively involved in every aspect of publication, long past the basic writing. At the moment I am working with the graphic designer (for the cover), the editor for corrections and changes, the publisher for his input and approval, and promotion for the book when it comes out. ES: Hearing the words that I had written (as a playwright) spoken for the first time by actors on a stage. I was absolutely thrilled. PJ: It could still happen! What’s the most memorable thing (good or bad) that’s happened to you while promoting your work? ES: I hate book signings, where you sit at a table and wait for someone to come and ask you to sign a book that they have bought. There is one good thing about e-books. No book signings! ES: The time frame, primarily. The novels are set in the World War II era, the new mystery series is set in the post-WW II recovery era. ES: If you are severely discouraged or depressed by rejection slips, you may be in the wrong line of work. Don’t take it personally — the market is over-saturated. ES: I would like to think that it’s myself, but I would have to be honest and say that it is finding the best person or PR firm to do it for me. ES: See above answer: book signings! The new murder mystery series features an intrepid young private detective, or “girl gumshoe,” who starts her own detective agency in 1946, called “Discreet Inquiries.” Each book takes her from her office in Sacramento, California, to different locales in Britain, where she works with Scotland Yard as well as the infamous spy agency, MI5, and rubs elbows with the Russian KGB and the Irish Mafia along the way. There are elements of humor, romance, surprise, and heartbreak throughout. All the books are now (or soon will be) available from the publisher, Phoenix International, Inc., Amazon.com and Barnes & Noble. Also my own website, eesmithwriter.com. 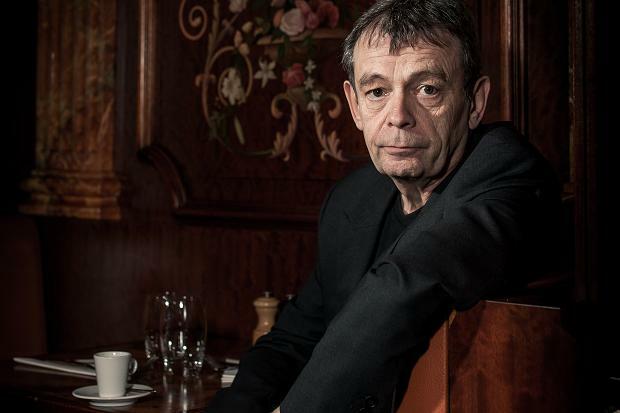 I have had a long and varied career as an architectural designer of building and aircraft interiors, and a litigation paralegal before becoming a playwright, and eventually a novelist. I used to say that I re-invented myself every 10 years! 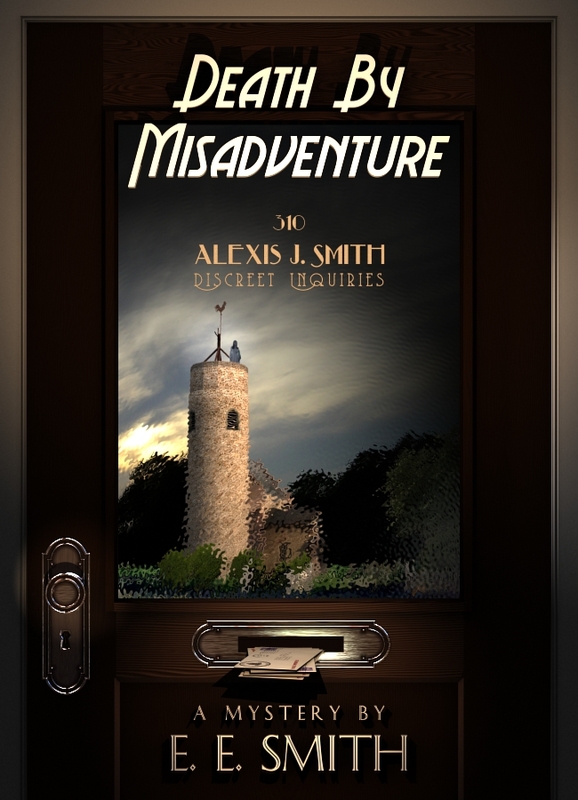 I am really excited about this series and hope you will all spread the word about Death by Misadventure! All of us here at BreakThrough Promotions wish you a Happy Thanksgiving and a wonderful holiday season! 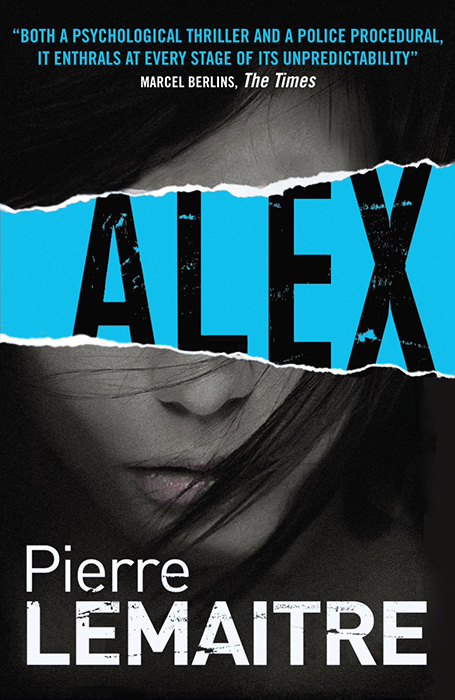 Alex is book one in Pierre Lemaitre’s Commandant Camille Verhoeven trilogy translated from French by Frank Wynne. Alex Prevost is a beautiful single 30 year old woman living in Paris. After a day of shopping and treating herself to a dinner out, Alex is kidnapped off a Paris street while walking home. Her kidnapper savagely beats her and places her in a cage suspended from the ceiling of an abandoned warehouse. All he will tell her is that he wants to watch her die. An eyewitness notifies the police but gives very vague details of the girl, the kidnapper and the van. Police Commandant Camille Verhoeven is assigned the case but initially has very little to go on and it is even difficult to be sure a kidnapping has taken place. Verhoeven does not want to take the case as it hits entirely too close to home for him. A few years earlier Verhoeven’s wife was kidnapped and killed and he had a breakdown shortly thereafter. But his superior insists that he take the case until another detective comes back to town to take over the case. By the time the other detective returns, Verhoeven is too deeply involved in the case to relinquish it. Alex is a riveting book that the reader will not want to put down until the final page has been read. Be prepared to be enthralled by the book’s twists and turns. I could not read this book fast enough. I highly recommend it to mystery readers. I cannot wait to read the other books in this trilogy. 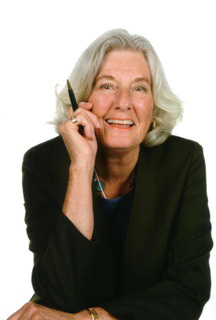 L. C. Hayden is an award winning author. Her Harry Bronson series have been the finalist for the Agatha Award for Best Novel (Why Casey Had to Die) as well as finalist for Left Coast Crime‘s Best Mystery (What Others Know). In addition Why Casey Had to Die is a Pennsylvania Top 40 Pick. 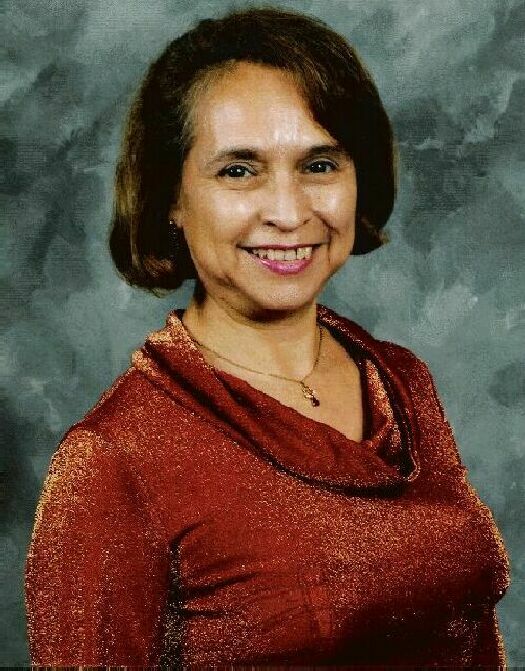 She has repeatedly captured First, Second, and Third place status for her works at the annual El Paso Writers’ League, and even won the coveted Best of the Best Award. She also won a gold medal at the Senior Olympics Writing Competition and garnished a Second place for Tallahassee’s Writers Association’s Seven Hills Writer’s Contest. LC: I’ve been writing my entire life, but professionally, I began with nonfiction while I was in college. A term paper that I did for a professor was the first thing I ever got published. LC: Unfortunately, that moment hasn’t come. Soon as I accomplish a goal, I move on to the next one. There will always be one more step to take in order for me to really be a successful writer. LC: You dream of writing and selling. Hitting the big time. Big money. Big deals. Then reality hits. You’ve got to promote. If you don’t, you don’t sell. Wish we could go back to the days when authors wrote and the publishers promoted. Uh, was there ever such a day? LC: It’s now beginning to do that—although it’s still a long way from reaching my dreams. You’ve got to realize that my first book was published in 1998 and just now my income is finally something to be proud of. That’s a heck of a long time. LC: It’s not just getting published that counts. It’s how many books did you sell? Publishers are only interested in how much money they make, not establishing a struggling author’s careers. The focus in writing has switched to selling—otherwise, your publisher will drop you. LC: A nice even number would be 10 years. I wrote, revised, submitted. Rewrote, revised, re-submitted. Over and over. I was caught by a scammer—too late I realized that and that held up the production of the book. Finally, ten years later the book Who’s Susan? came out and it became a Barnes & Noble Top Ten Best Seller. LC: I would avoid the scammer. My problem is that I’m too trust worthy. What a twirp I am!—but a trusting one! LC: I set deadlines. By such and such time, I will have written five chapters, contacted so-and-so for promotion, I’ve edited this much, etc. If I don’t meet those goals, I beat myself up with a wet noodle and get back to work! LC: Dang, that’s a hard one. I’m not sure if I should choose being major awards finalist for my books, being selected to be a speaker at major cruise lines and travel all over the world for free (and I still get paid! ), or when a reader tells me how reading my books helped them either spiritually (like for my angel book series) or by keeping them glued to the edge of their seat or having to stay up all night to see how the book ended. All of those experiences are so special. LC: Book sales. I pour my heart and sweat into my novels. Then they’re released and bang! The sales just trickle. Eventually, they pick up but they have slow starts. Wish they began with a bang! LC: As far as my mysteries go, I’m known as the writer of edgy books. By that I mean a plot full of twists and turns with bang-up endings that will surprise the readers. LC: Believe in yourself. Don’t ever give up. Make that dream come true. Don’t let anything or anyone ever discourage you. LC: My ability to do great presentations. God gave me the ability to speak on just about any subject and amuse and hold the audience. When I do presentations, I normally a lot more books than when I do just a signing. LC: Finding the money to pay for the book promotion! Children’s picture books: What Am I? What Am I? ILL Conceived: Grandma Louise hears a scream in the middle of the night. When no one else does, the police dismiss it as an old woman’s ravings. Aimee Brent, an ambitious, dedicated reporter for the North Shore Carrier, the Lake Tahoe newspaper, sets out to prove Grandma right. In so doing, she’s forced to face her past, a past filled with so much darkness that it threatens her very existence and leads her down a twisted, dangerous road from which she may never return. Best place is as a Kindle through Amazon, although it can be ordered from any store (if you live in PA, Mystery Lovers Book Shop, stocks it) or various places on the Internet. You can also order it directly through me. LC: I still write longhand. I revise longhand. Then I enter it into the computer, making revisions as I go along. I print out the manuscript and revise it again in longhand. I’m old fashioned, eh? Thanks so much for the interview! Hope you enjoy it as much as I enjoyed writing it! McKenzie McClendon is a journalist with The Herald. After breaking a huge story the previous year of an assassination plot, McKenzie is fighting to stay at the top and prove that she has more than one story in her. New York City is being plagued by a murderer dubbed The Cradle Robber since he is slicing up pregnant women and leaving them to die once he has removed their babies. The Cradle Robber is the story McKenzie is currently chasing. Jonas Cleary is McKenzie’s high school sweetheart. Jonas contacts McKenzie as he believes his wife was one of The Cradle Robber’s first victims. The police think Jonas is just grasping at straws since his wife was not pregnant at the time of her death. However she had their infant son with her when she was murdered and his body was never recovered. Jonas believes that his son was sold on the black market. Thus begins Jonas and McKenzie’s investigation into the murders and the possibility that the babies are being sold. 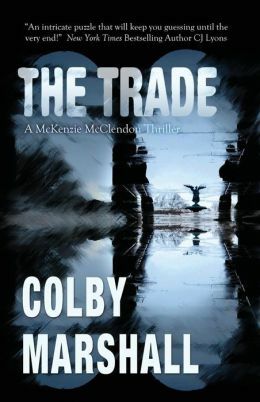 The Trade is a fast paced thriller that the reader will not want to put down. This is Colby Marshall’s second book in her McKenzie McClendon series. I will be purchasing the first book, Chain of Command, and look forward to other additions to this series.